Our life is all around gadgets, and all of them need power. It would be such a hassle to carry a separate power source for each of them. 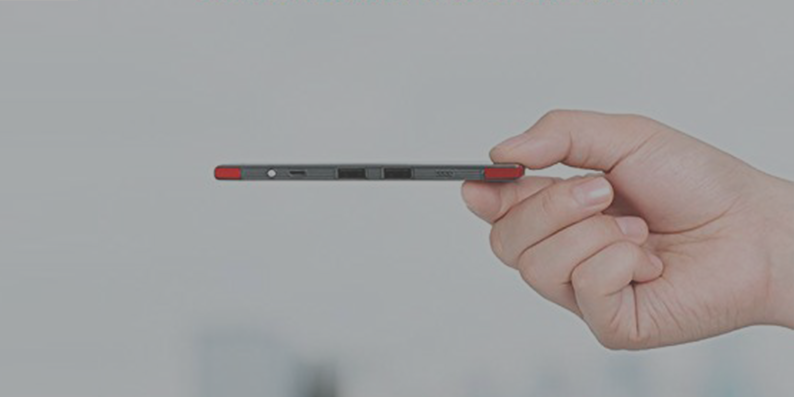 Pebble Ultra Slim goes the smart way, by supporting phone, cameras, tablets and iPods. One device to charge them all. 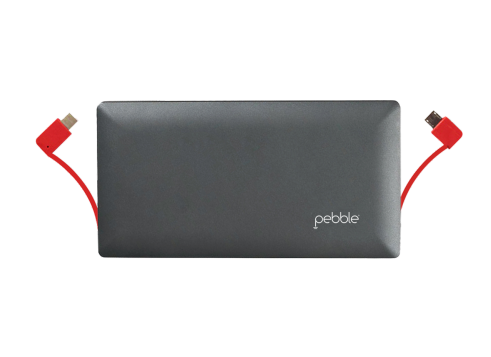 Apart from its powerful 10,000 mAh battery, Pebble Ultra Slim comes with multiple ports and an impressive, sleek design with inbuilt micro USB and C-type Cables. It tough to resist it once you have used it. Sure, the Pebble Quick does whatever the best powerbanks are built to do. But it goes beyond that and impresses you with the sleek design. 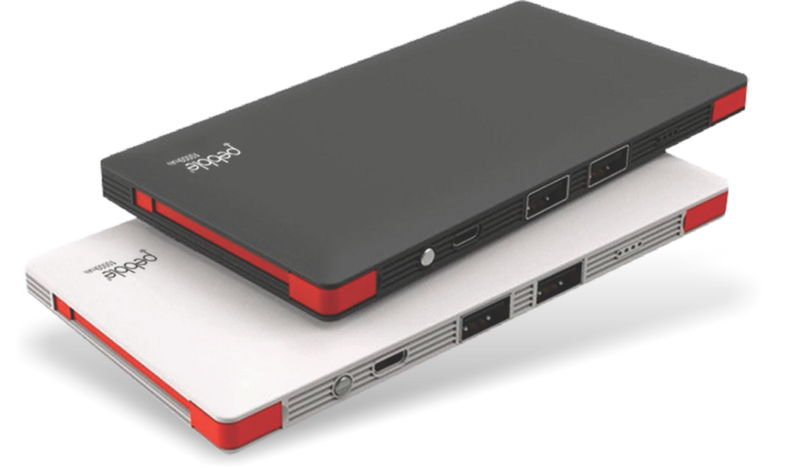 This portable and slim powerbank is made to be carried anywhere you want to take it. The LED indicators for indicating the charge status makes it only look better. If you ever forgot your cable when hanging out or experienced a cable mess in your bag, “What a headache!” you may have been speaking more literally than you realized. Now, with Pebble power bank, you can simply get rid of this awkward moment as it comes with 2 built-in cables, one for your Micro-USB one for your type-c device. 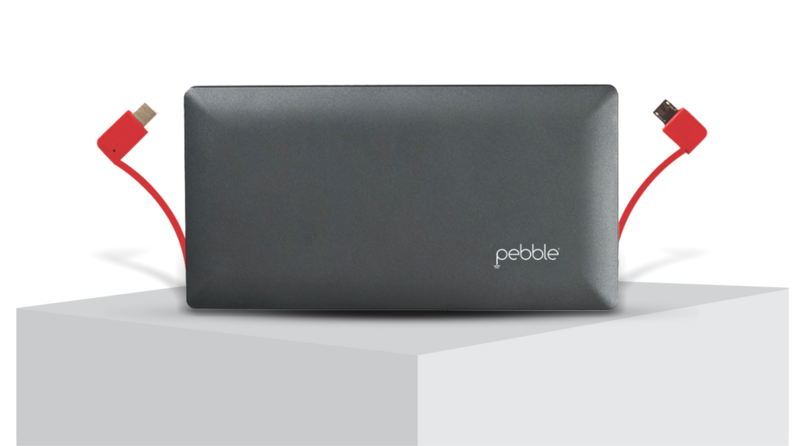 Pebble 10,000 huge power is squeezed into a pocket-sized body that is ready to go anywhere you do. It’s the perfect partner whenever, and wherever you need to charge. 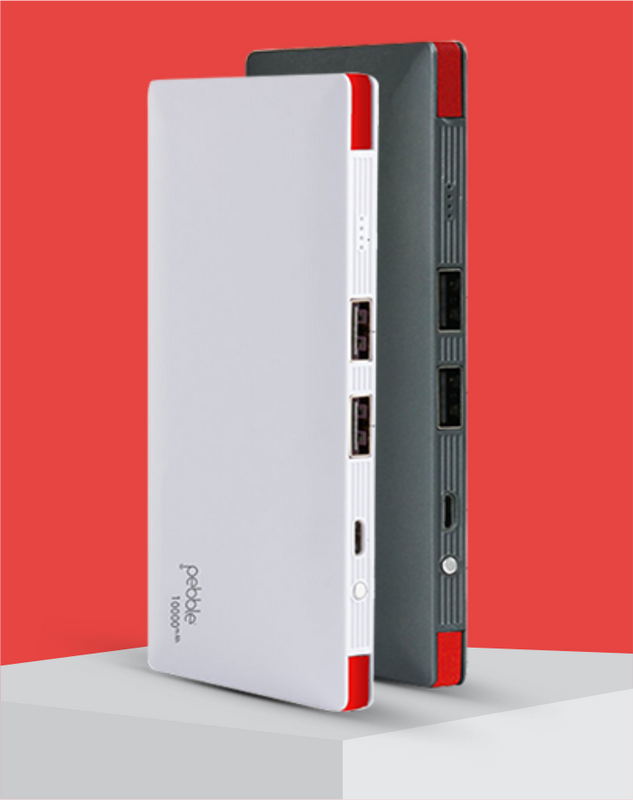 It also comes with Pebble Quick Charge Technology 2.4A output port. 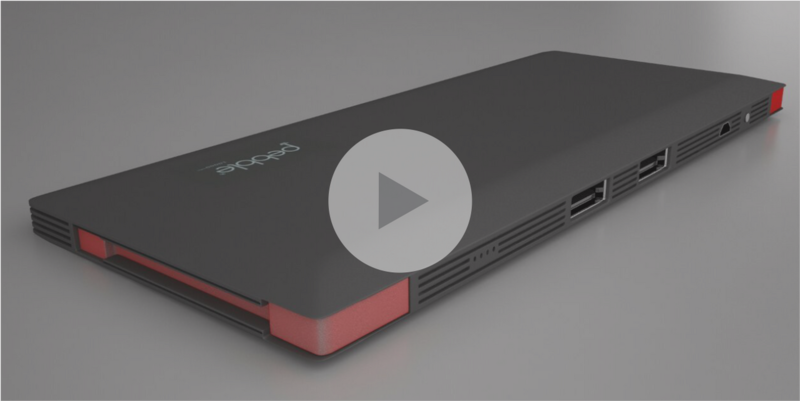 Now get your devices pumped up without wasting any time. Even the coolest devices can fall and prove to be a hazard. Well, not the Pebble Ultra Slim. The power bank comes with failsafe against short circuit, over-charging and over-discharging. Use it at your leisure, without worrying about any mishaps.